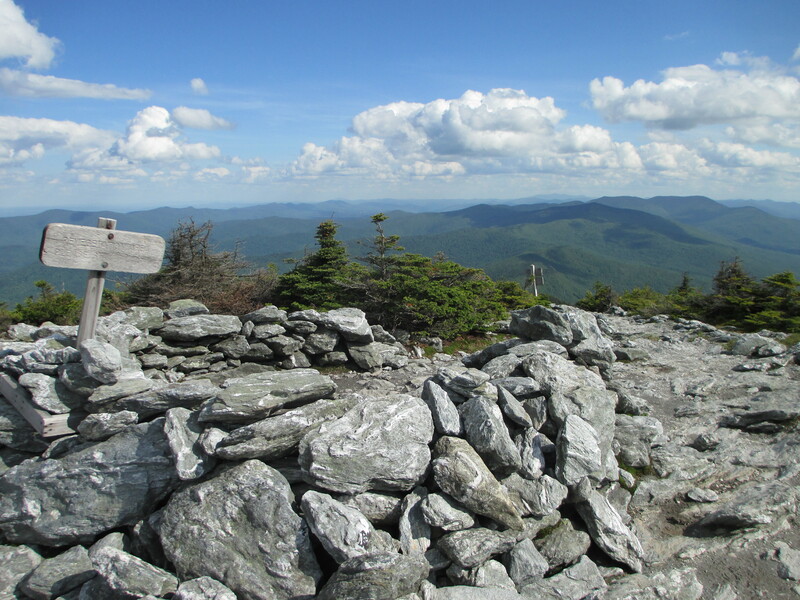 Will hopefully be getting back over to the Adirondacks next weekend. 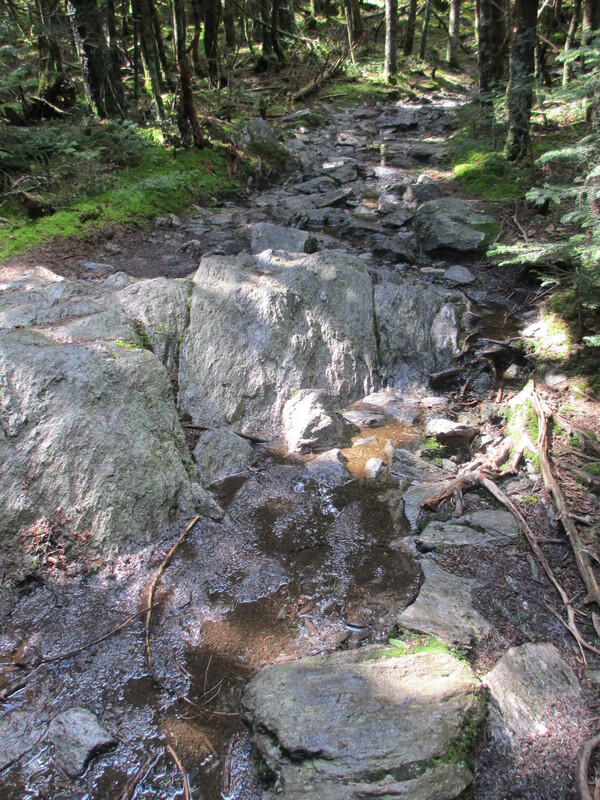 In the meantime, today I hiked Mt. Abraham. 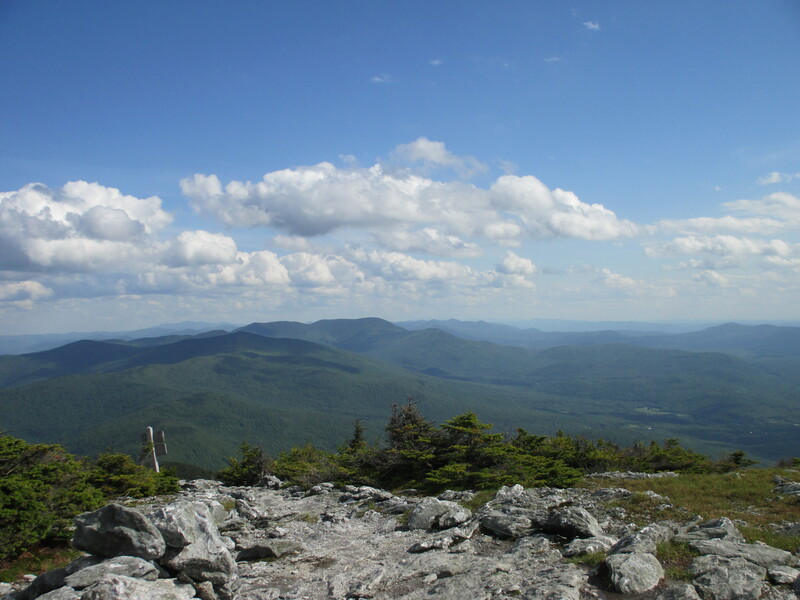 At 4,006 feet, it’s the 5th highest peak in VT’s Green Mountains. 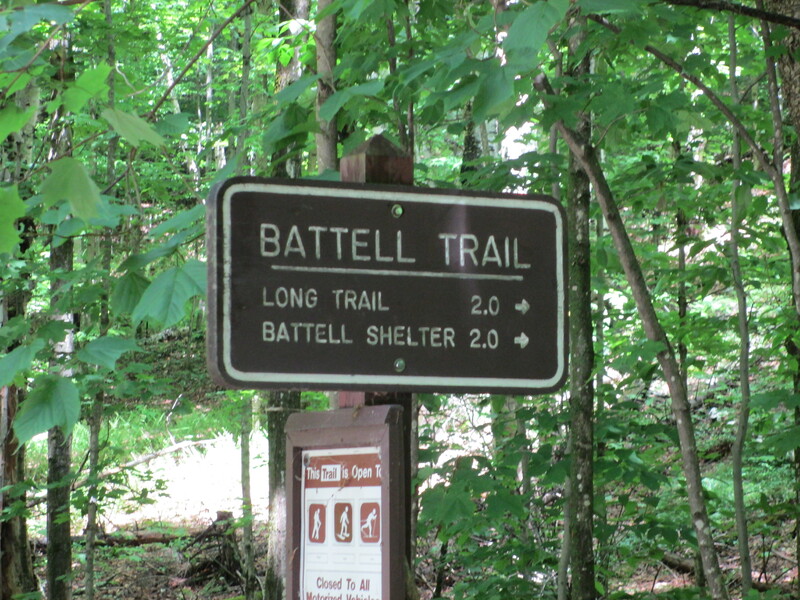 I hiked it from the Battell Trail, which connects with the Long Trail at the Battell shelter. 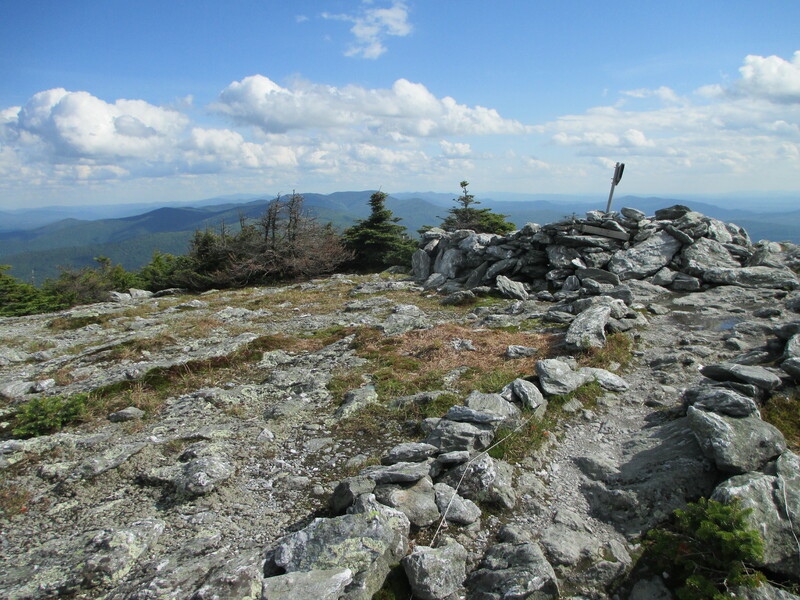 It’s a steady ascent with some flatter sections to break it up, and a few fun scrambles near the summit – 5.8 miles roundtrip. Mt. Abe looming in the distance, on route to the trailhead. View from a footbridge on the Battell Trail. 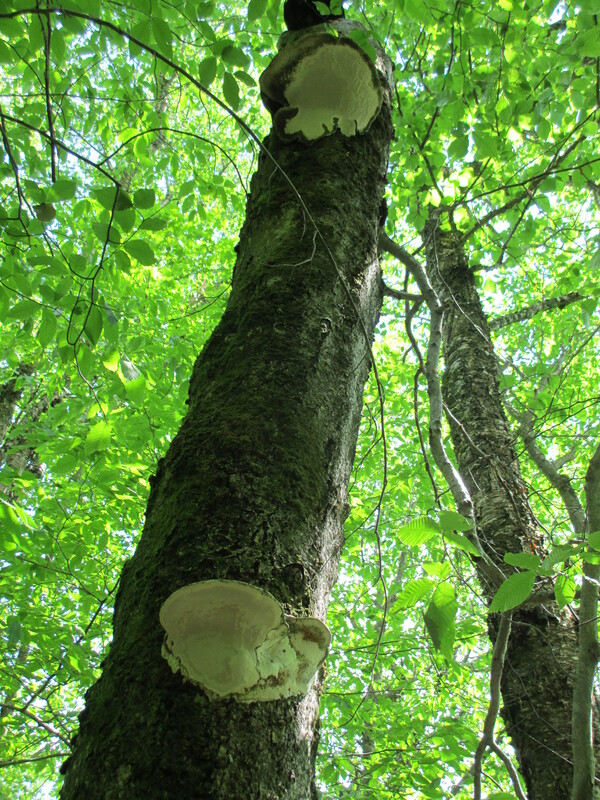 I think all this rain we’ve been getting has been good for the fungi. 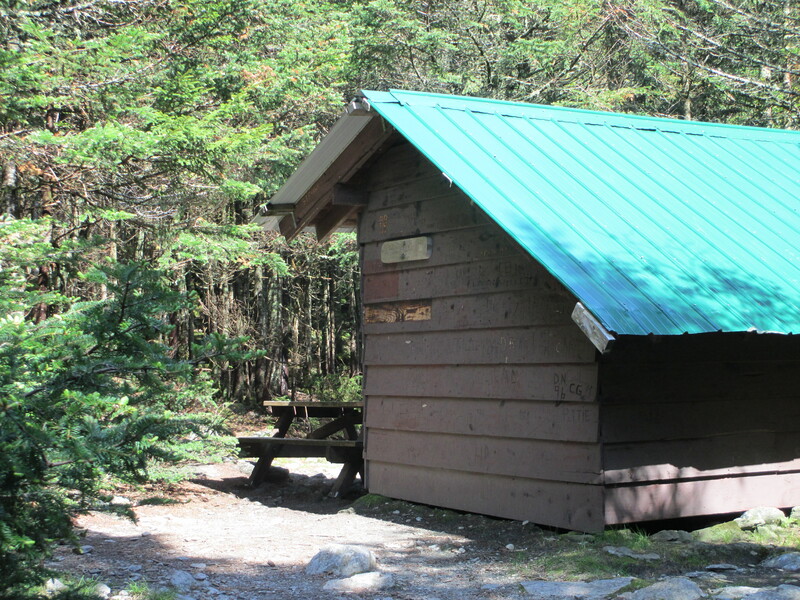 Battell shelter/lean-to, on the Long Trail. Hm. I think I’ll go in the woods. 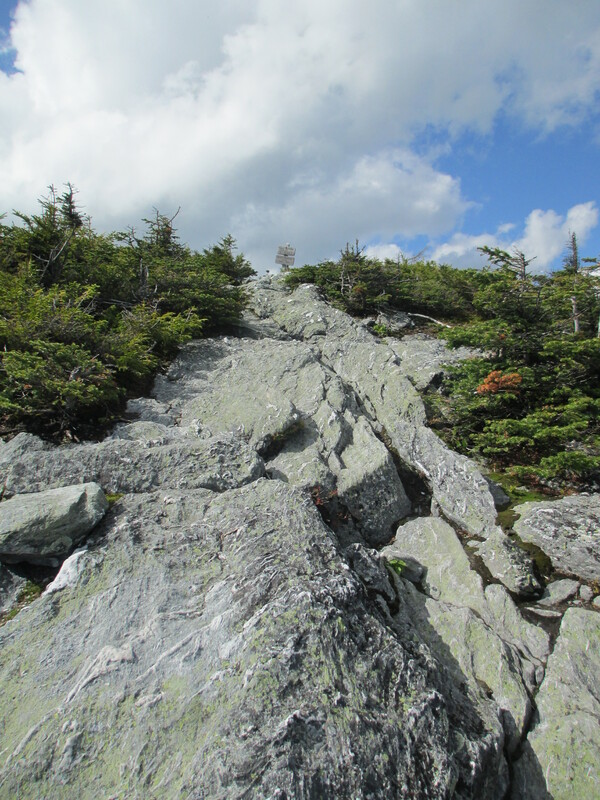 Typical of the rock scrambles on this hike. Mt. 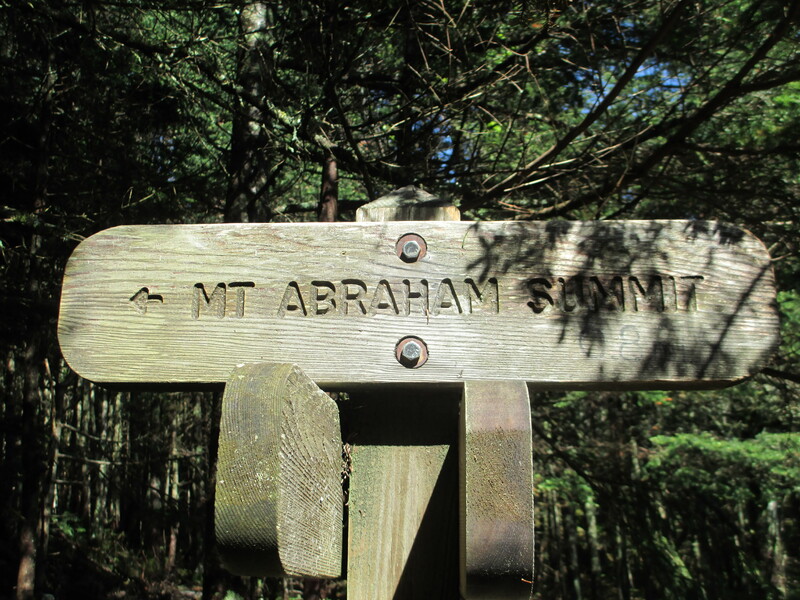 Abraham has a gorgeous, 360 degree panoramic view from the summit. Under the clouds you can just barely make out the Adirondacks rising above Lake Champlain. Mt. Ellen on the left. Sweet looking trail! 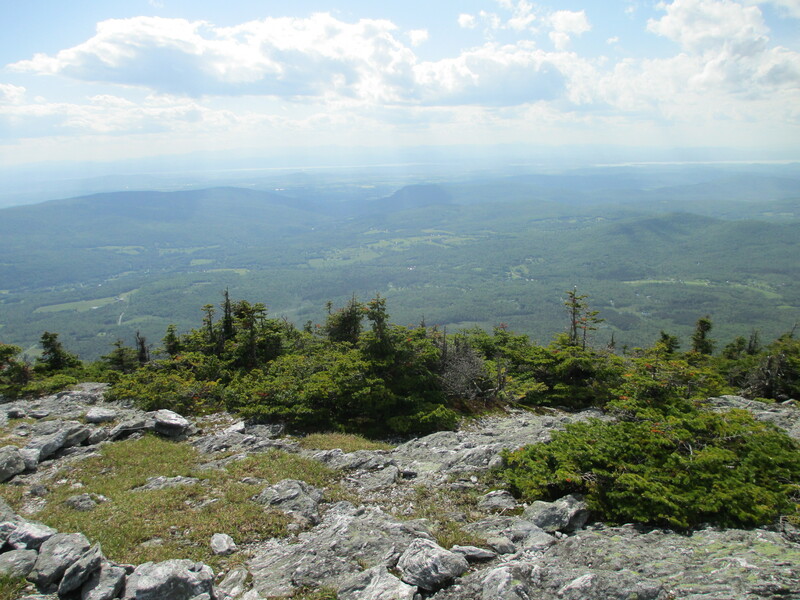 I’ve never hiked in the Green Mountains. They look to possess their own unique splendor. 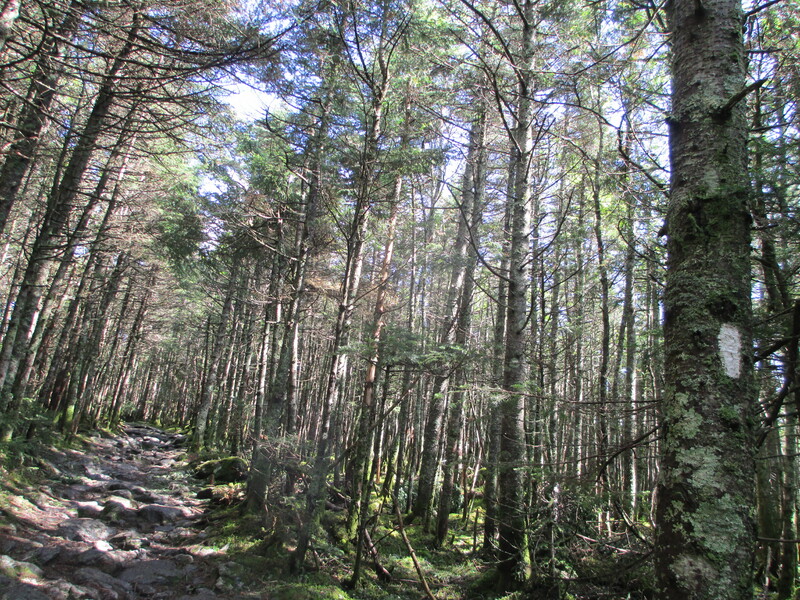 Yeah, it was pretty, and I’ll definitely be doing more hiking in the Greens. 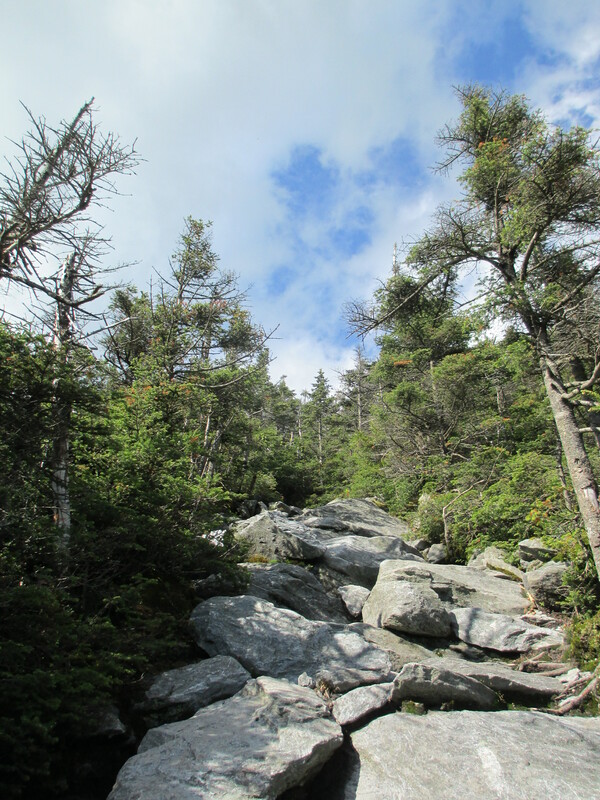 I am missing the Adirondacks though – can’t wait to get back there this weekend. I hiked Abram in the rain- No view 😦 ! 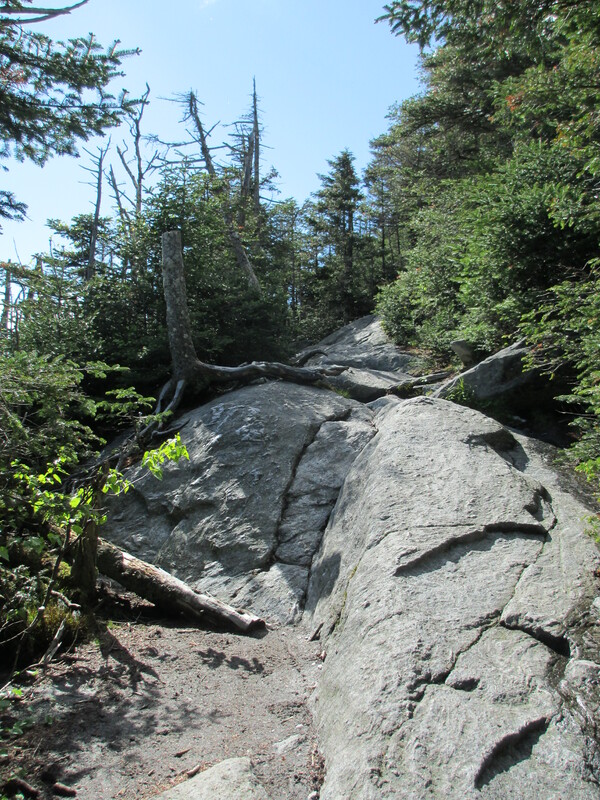 Is the Battell Trail the one that departs from Lincoln Notch- That’s the one I took. 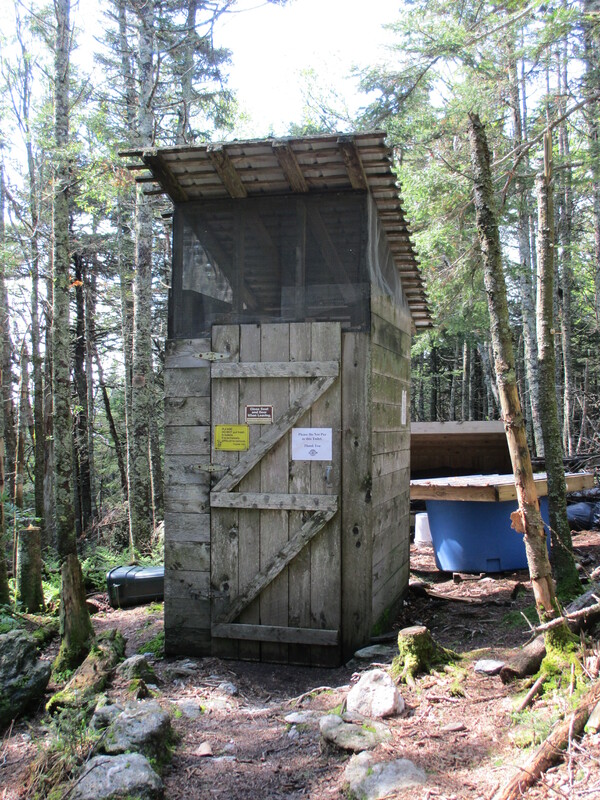 I think it’s the same- I recognize the outhouse! Love looking at the Daks from those summits when skiing- that’s where I really long to be whenever I’m close enough to see them! Looking forward to you return to your quest, Pru. 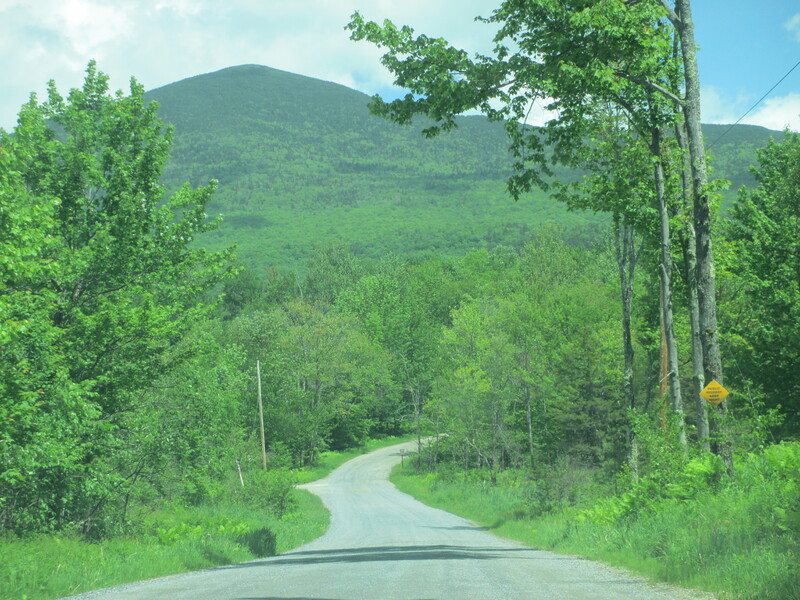 We expect to be back in the Daks June 23-26th after maybe hiking in Smuggler’s Notch June 21st. Karen, the standard approach to Mt. 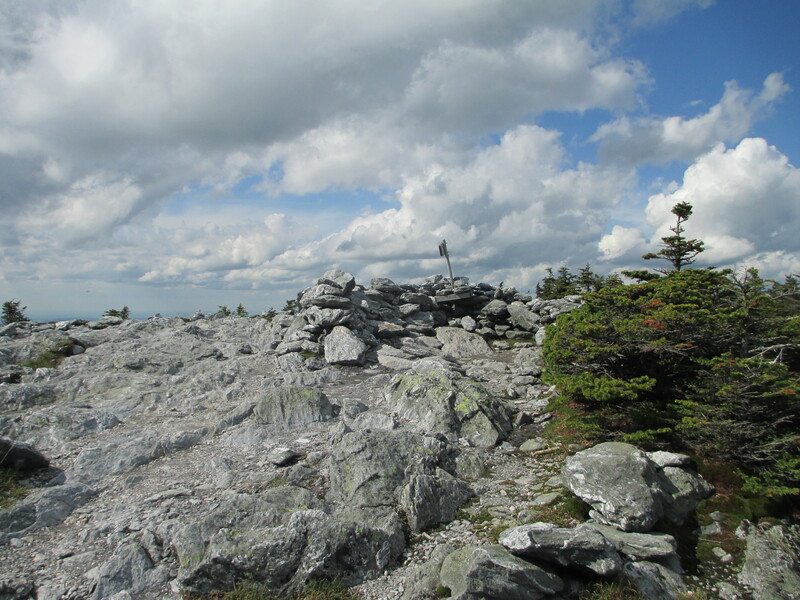 Abe is taking the Long Trail from Lincoln Gap – that is most likely what you did (and is definitely what I would do next time, as I think the Long Trail is much prettier and some day I want to hike the ridge line/keep going after Abe.) 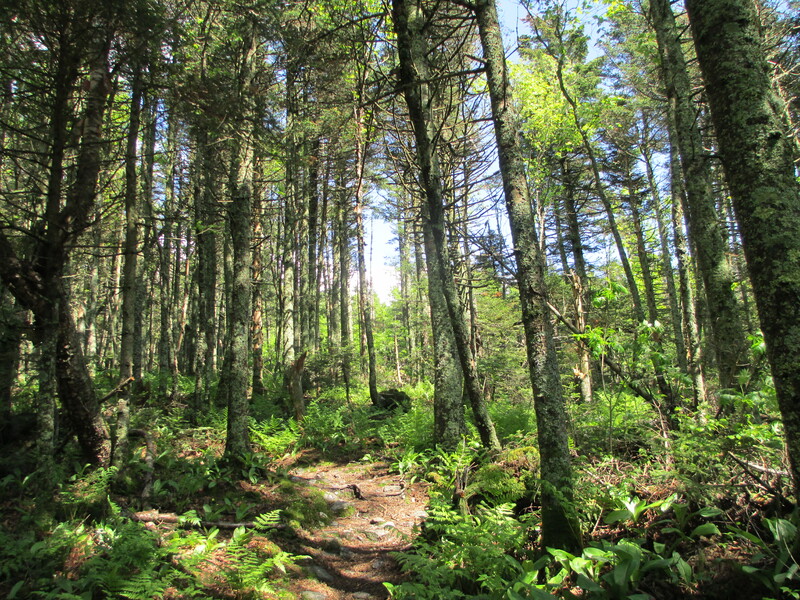 The Battell trail was slightly longer with more of an elevation gain, and meets the Long Trail (intersects with the trail you probably took in) just 0.1 mile before the Battell shelter; our journeys would have been the same after that. Bummer you were socked in, but any time you want to rehike it let me know and I’ll join you! 🙂 Regarding our summer schedules, I’ll email you this week – so sorry for the delay! 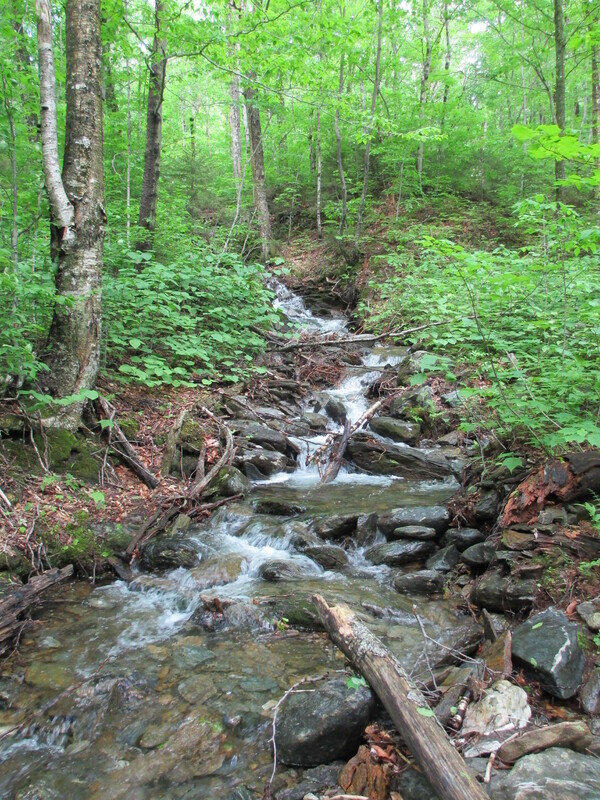 Looks like a very pretty hike! 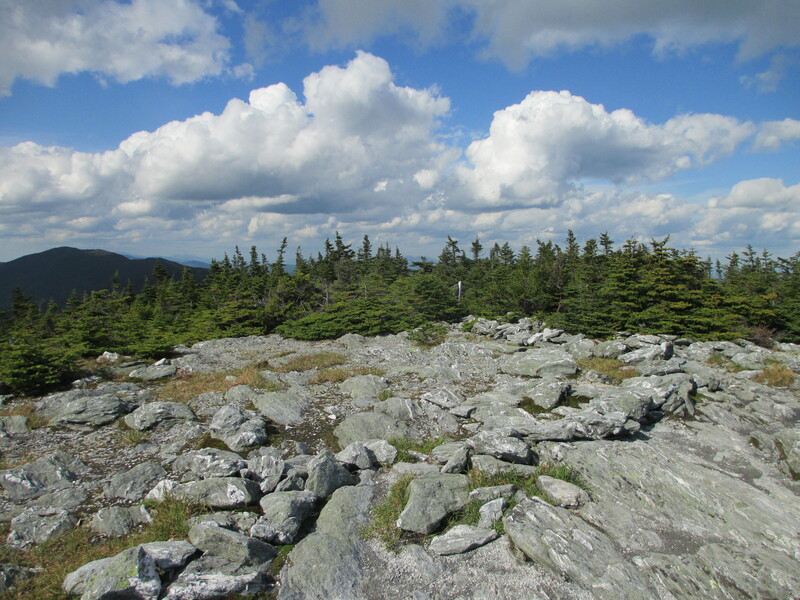 It was… but not as pretty as the Adirondacks! I don’t know why, or whether that comes across in the photos, but it’s true! Nothing is as pretty as the ‘Daks! Looks like you had a wonderful hike! You’re very lucky to live near the mountains and don’t have to spend half your day driving to get to them! Nice pictures! Thanks – it was a nice day. Glad to have the sun back, and yup – only an hour away. A lot easier than getting to the ‘daks. It was a great weekend to hike. As always your pics give me the desire to hike the mountains. Looking forward to seeing more. Thanks Suzanne – hope to see you soon! Love the pictures! 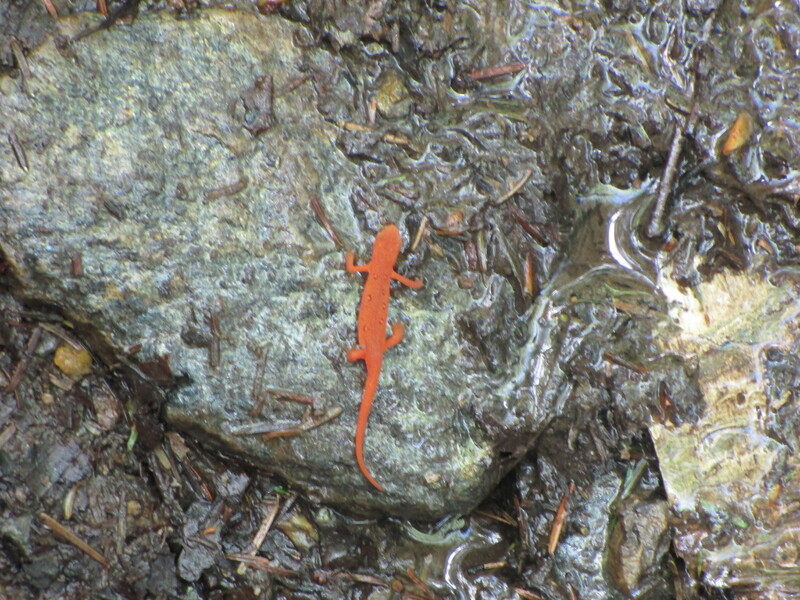 Especially the orange newt! Girl – you are super amazing!!!! I enjoy reading your posts….and love the pictures!!!! Aw, thanks Ang. 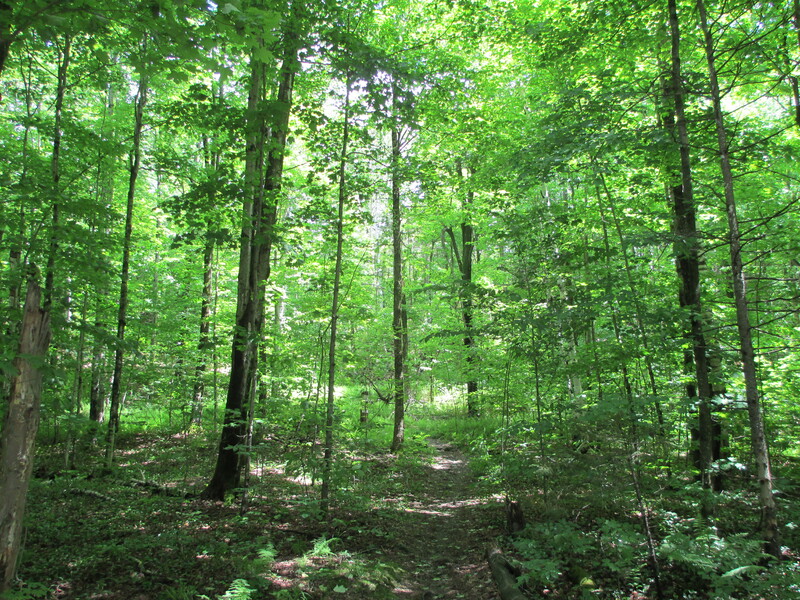 Come hike with me sometime!